Home \ TOP GEAR \ Off-roading in a Miata? 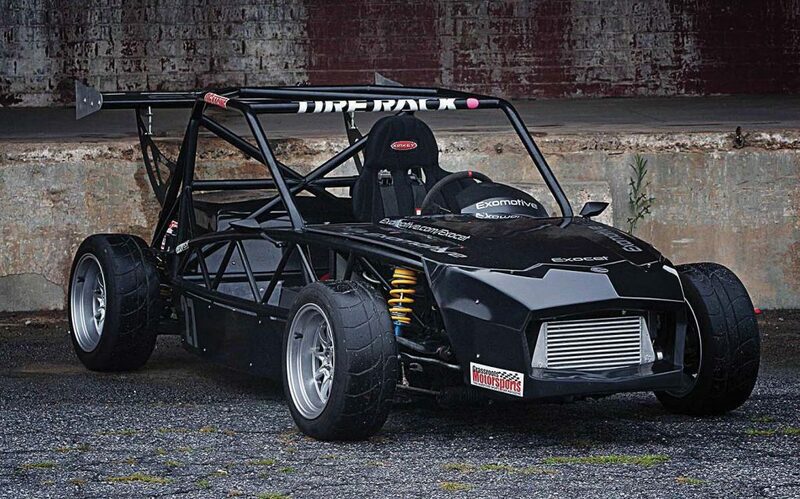 Exomotive has created an off-road buggy called the Exocet that you can build at home. All you need is a surplus 1990-2005 Mazda MX-5 (Miata). After the body panels and interior have been removed, the Excocet parts bolt onto the Miata drivetrain. Other items, including the floor, front and rear bulkheads, plexiglass side panels, fiberglass nose and assorted bits and pieces, are then installed. The basic Exocet kit starts at $7,000, but there are deluxe versions available as well as suspension-component options. Pick your kit at www.exomotive.com.